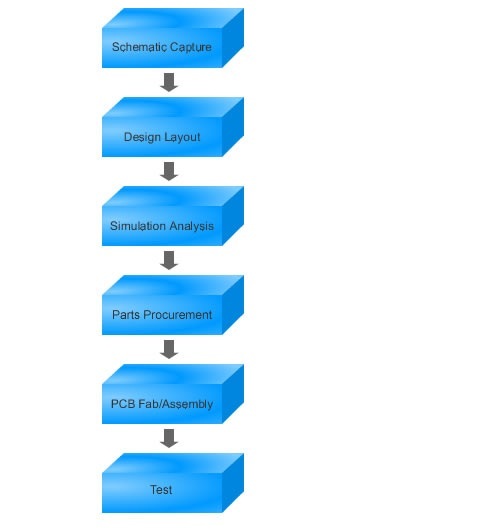 Nimbeon provides turnkey service for complete PCB prototype needs. This can include electronic engineering design of the circuits, PCB Layout engineering, PCB fabrication of bare boards, parts procurement and PCB assembly of a finished prototype. We use our internal proprietary quality assurance program to insure that our layout engineering is of the highest standard and is 100% manual routing. Our PCB Prototype applications cover a wide range of functionality including digital signal processing, analog and mixed signal applications, high frequency products (>10GHz), RF at 2.4GHz, impedance control PCB's, FPGA/CPLD design and FPGA/CPLD development. We also have designed AC/DC and DC/DC converters, video interface, medical applications, logic and PLD designs as well as circuit and complete system designs. With a majority of operations performed in-house - at a high degree of efficiency, Nimbeon achieves a very high level of customer satisfaction on both quality as well as its delivery commitments.